Billboard exposure through Colorado I-25 on 2 billboards displaying Our 2019 sponsor! Weekly TV spots of your company on CNTV weekly show on Comcast/Dish/Direct TV in 1.3 million homes. CNTV business car logs 200+ miles a day across Denver. Sponsor logo can be added to our auto exterior. Your CNTV feature ALONE on the homepage of our website! Your testimonials and news interview streamed LIVE ON FACEBOOK! We can post & appear "live" when it is NOT!! EVERY company we interview always asks; Who sponsors this show? We tell them our 2019 sponsor! ON demand customer testimonial video taping at your location. Video testimonial directly on Google page. Re airing your extended CNTV interview on our show! 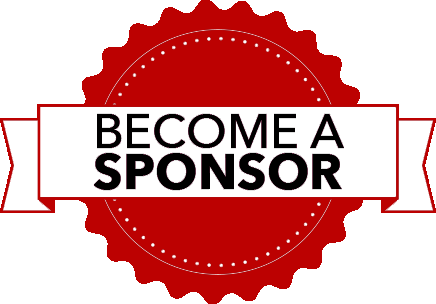 Sponsors are heavily branded throughout the year as a company Who GIVES BACK to the community! Sponsorships are a ONE year commitment. 1- We are NOW certified with Google!! NO ONE else can!! NOT even you!! The owner! But why post 360 tours? simple. It is one of the secrets that Google uses to place your company over other realtors when someone Googles: "Roofing near me"
Click HERE to see the details!! 2- We have partnered up with Denver Daily Dose- News app!! Never before could we place your ads/video/interview actually WITHIN the news stories of Channel 9 news, 7, 4, 2, and Fox!!! CNTV is the prominent, BOLD in red stories along side all the major news providers!! This app is simple: ALL the news from Denver in one place! with additional news from each users area/suburb!! (suburbs are being set up now) but the app is in full swing for all of Denver now! news of the day or subtle placement (your choice). We are exclusive news for : "Ask a professional!" with (The only) bold red headlines mixed into the news!! Here is the link: www.newsdose.today IMPORTANT-ONLY open on smartphone as it is APP based! entrepreneurs and small business to Denver! We hope we can count on you to give back to the small business community!